This first week of November is shaping up to be a busy one for me! And I'm really hoping that I'll get to see some of you, my lovely readers....so I'm sharing this week's calendar with you. On Tuesday, I'll be at Gatehouse No. 1 in Orem for a book signing from 6-6:30. 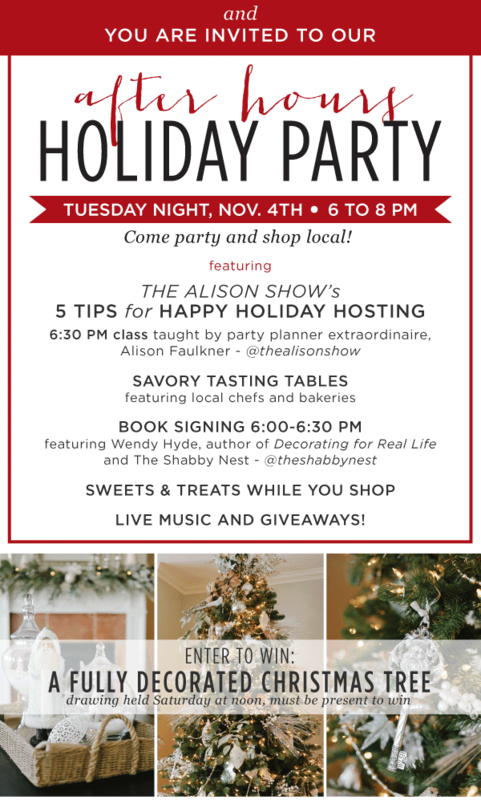 They're having their annual after hours Holiday Party with all kinds of other stuff going on that evening as well, so make sure and put it on your calendar! 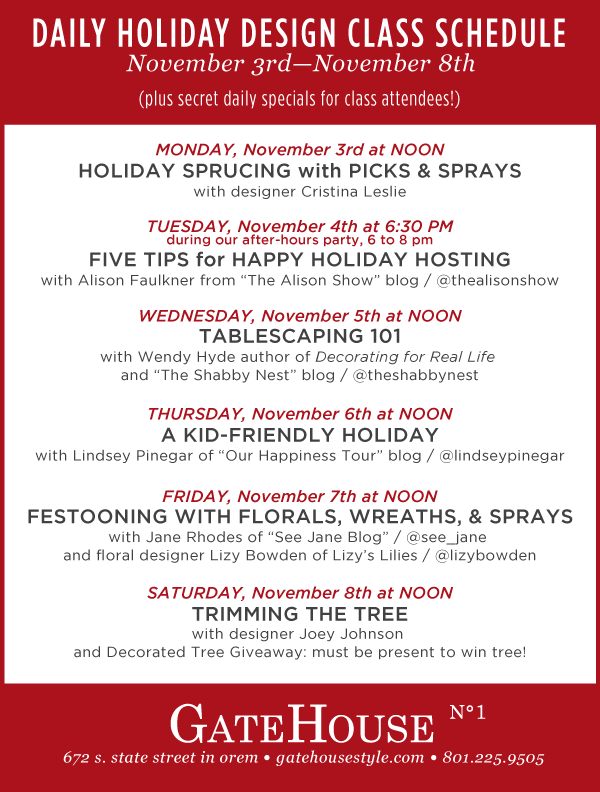 Then on Wednesday at noon, I'll be teaching a class on Holiday Table Settings at Gatehouse! I'm so excited for this...I have a soft spot for table settings...I even won a table setting contest in Jr. High. I know your opinion of me just went up a few notches, right? Ha! And finally, on Friday at 3 pm, I'll be speaking at The Pinners Conference! My topic? Decorating for Real Life, of course! I'm excited to share some great ideas...so if you find yourself at the Pinners Conference on Friday afternoon, make sure and stop by my class! You can even use my code SHABBY NEST for $5 off your ticket! !